KCPS officials say there is fear and anxiety among many Latino students at East High School and other buildings. Friday morning at 11 a.m., Donald Trump will be sworn in as the 45th president of the United States. But from the moment he won the election, there has been trepidation among immigrants, both those in the country legally and illegally. That fear is a big problem in the Kansas City Public Schools. It can be hard enough teaching in the Kansas City school district. Many students live in poverty, lots of the schools are crumbling, and there are a lack of extracurricular activities. But for hundreds, maybe even thousands of students in the Kansas City district, life got a little bit scarier after Donald Trump was elected. “My little sister was actually crying. She’s about 12, 13, and she was crying. She knew what’s possible, you know," says Alfredo Aragonez Nevarez, a senior at East High School near 19th and Van Brunt. He and his family are here legally, for now, and we’ll get to the crazy way they got visas later and why he's still worried. Teachers and counselors in the district say they have seen a big change in Latino students since the election. “The motivation isn’t there. They don’t see the purpose. They’re not as goal driven because they see a world with kind of dead ends in front of them," says Nate Zier, who has been a counselor at East for three years. English is a second language for 55 percent of students at East, where 40 different languages are spoken. Zier says DACA students, who are safe from deportation now because of an executive order from President Obama, are worried Trump will rescind their status. Those here illegally are simply worried the government is going to start rounding up their families. It’s the unknown, really, that has kids on edge. Alfredo and his family are safe for now. But only because of a quirk in immigration law for victims of some violent crimes. The East High School choir performs for Latino community leaders at a luncheon to discuss how to support students and their families worried about their immigration status in a Trump administration. “We heard gun shots. We didn’t think nothing of it. You hear it quite often around here, so I went to go check on the rest of the family," Nevarez recalls. "My mom was actually outside but I had to pulled her back in by her shirt because I seen that our neighbor was actually holding the gun in front of his lawn." Their house was shot up, but thankfully nobody was hit. And thanks to a helpful Kansas City Police Department detective and a lawyer willing to work for a discount, they have visas. But only until next month when the visa obtained two years ago expires. Alfredo says his parents are on edge. So what is the district doing to help? Last month the district brought together Latino community leaders to talk about how to support students, legally and emotionally, as the country waits to see what Trump will do. They heard the East choir perform and from student body leaders. Luis Cordoba runs the student intervention program in the district and says Latino students are anxious and scared. He calls it a trauma. “The trauma is really the anxiety. The instability. The fear of deportation. The fear they won’t see their parents again. That’s trauma." There’s anecdotal evidence Latino students are making more trips to the nurse and coming to school less. With Trump about to become president, all the district can do is tell them to take a breath and wait to see what he really does because a bureaucracy the size of the U.S. government doesn’t change overnight. Sam Zeff covers education for KCUR and a member of the Kansas News Service. He's also co-host of KCUR's political podcast Statehouse Blend Kansas. Follow him on Twitter @samzeff. As Kansas City Public Schools battle to improve academics, one high school is getting multi-million dollar help from the state. East High School just got word that it received what’s called a School Improvement Grant (SIG). It’s federal money that the Department of Elementary and Secondary Education (DESE) distributes to very low performing schools. 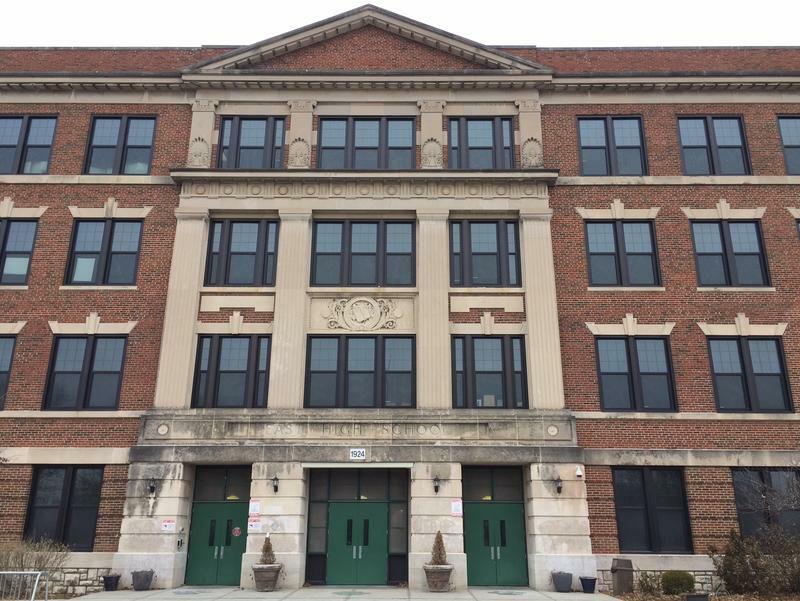 East principal Jeff Spaletta, who’s in his first year in the district, says the $4 million grant will be used, among other things, to add classes. A change in state statute is unlikely to make more schoolyard fights felonies. When Missouri lawmakers made third degree assault a Class E felony, up from a misdemeanor, two school districts in the St. Louis area issued dire warnings that the criminal code revisions could have a dramatic impact on school discipline. After certifying the Kansas election results, Secretary of State Kris Kobach told reporters in Topeka this week he agrees with President-elect Donald Trump's unsubstantiated claim that ballots cast by non-citizens cost him the popular vote. It comes as no surprise. Trump's assertion sounds like something that could have come from the secretary himself.